Bob Ezrin, the "producer's producer" talks about working on classic albums by Pink Floyd, Alice Cooper, Kiss and Peter Gabriel. After 31 years and 15 albums, R.E.M. announced it's calling it a day. Jim and Greg will dive into the band's career in more detail next week, but they point out what a groundbreaking band the Athens, GA natives were. No group other than U2 transitioned so easily from an arty indie band of the 1980's to arena superstars in the new millennium. Perhaps they would've been smart to pack it in after drummer Bill Berry quit in 1997, but their record deal running out gave them the reason now. Jim and Greg are joined by super producer Bob Ezrin. And when we say super, we're not just referring to his commercial success, but to his sound. Bob Ezrin makes big, epic albums like The Wall, Destroyer and 10 with metal god Alice Cooper. He also produced Lou Reed's Berlin and the self-titled solo debut from Peter Gabriel. He talked to our hosts about reuniting with Cooper for Welcome 2 My Nightmare and shared studio tidbits. Now we know what a prankster Roger Waters was and how Ezrin captured the crying sounds in "Oh Jim." And who knew Peter Gabriel had such a good sense of humor? 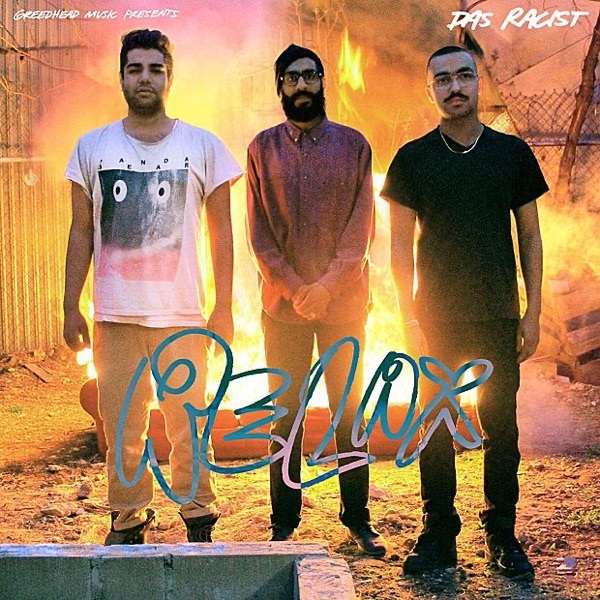 Wesleyan University seems an unlikely springboard for a hip hop act, but Das Racist are anything but usual. The group gained a following after releasing some free mixtapes and appearing at this year's Pitchfork Music Festival. Now their full length debut is here. It's called Relax, and Greg explains that it's a fitting title. The two rappers, Heems and Kool A.D, appear to be very easy-going to those that aren't paying attention. But their songs are much more complicated. They combine humor with fantastic, dadaist references. Jim compares them to the Beastie Boys, or the Bomb Squad on drugs. Both hosts give Relax a Buy It rating.